had enjoyed every bit of last night. breakfast for her in bed. by name Mr Kelvin is now out of coma" he said after some minutes. pricked. "Wow… when did that happen?" he asked, sitting up. from the book, looking at Richard. relationship to be a pleasant one, though. since then had someone to monitor his room"
someone that restless – guilt. in beautiful clothes and nice braids. shopping when I heard Prisca's voice. said, coming over with a smile. think I am bearing a boy?" "I can't say I don't enjoy the pampering at times." time" Prisca shook her head. deduced what I was thinking. "he did not tell you?" I shook my head. "not a single word". Next Episode Drops Tomorrow Evening. Episode 8 Of "THE MISTAKE OF MY LIFE" Comes Up In The Morning. 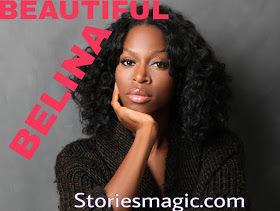 0 Response to "STORY:BEAUTIFUL BELINA (Season 2,Episode 37)"